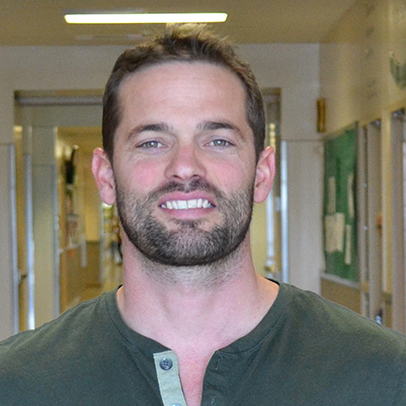 “I became a teacher after going to grad school on the GI Bill. I knew it wouldn’t be a high-paying job, compared to other things I could do with a graduate degree, but I was drawn to it because I had some great teachers when I was younger and I wanted to give back to my community. My wife is a teacher, too. It is a great job. At the same time, I will admit that it can be challenging. I have 217 kids total. I have classes of more than 40 students. But I do the best I can because these kids are great. I love working with them. We are newer teachers, which means we have the lowest level of retirement benefit but we have figured out a way to make that work for us. In Bend, the housing market is so out of control, we know teachers who work here but can’t afford to live here. We were lucky and were able to get a house and can make the mortgage, but we are waiting to have kids until we feel more financially secure. Now, though, with talk of cutting our retirement benefits 30%, I’m not sure if we would be able to afford to be teachers in Bend, save for retirement and afford to have children.